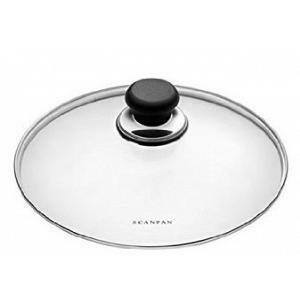 The CTX Saucepan from Scanpan is made in Denmark and comes with a lifetime warranty. 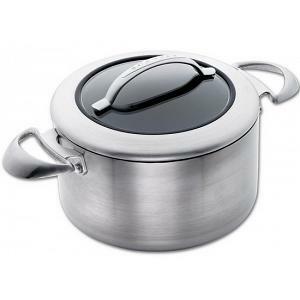 The sauce pan has a capacity of 2.75 quarts / 2.75 liters and a 7 inches / 18cm cooking surface made of pressure-cast aluminum, for perfect heat distribution. 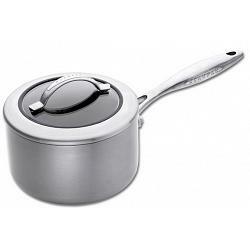 The saucepan has the patented ceramic-titanium pfoa-free, green-tek, non-stick surface that allows the use of metal utensils. The CTX series cookware features a 5-layer aluminum-stainless steel construction, perfect for when only the best is good enough. 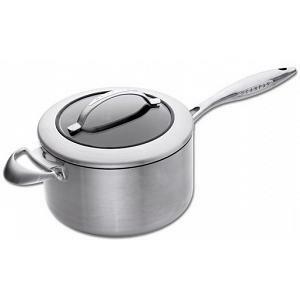 The sauce pan has a stylish cast 18/10 stainless steel handle that is designed to stay cool. Heavy duty stainless steel rivets will permanently secure that handle to the pan's body. 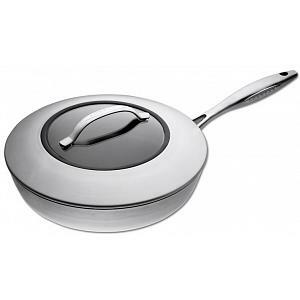 The Scanpan CTX saucepan ensures perfect food release, and is suitable for all stove top types, including induction stoves. 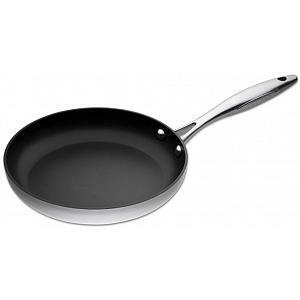 The CTX series pan allows you to brown, sear, and even deglaze foods, something that simply can't be done with other non-stick pans. 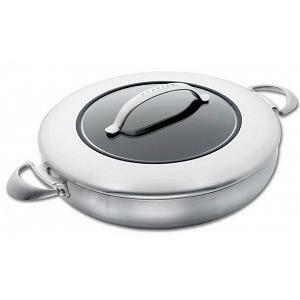 The sauce pan includes a stainless steel lid with glass center, is dishwasher safe, oven safe up to 500F, and comes in a beautiful gift box.